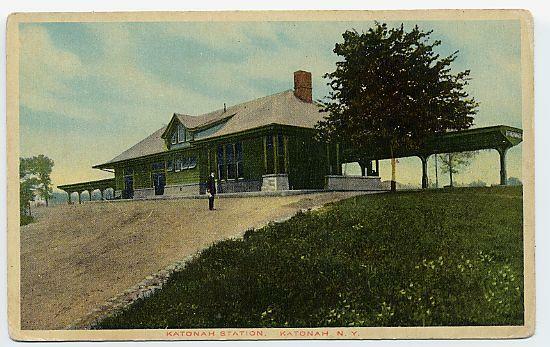 Post Card of Katonah Train Station 1910 Up for Auction On eBay! Multimedia Presentation - History of "The What Me Worry Kid" Oct 25 7:00 P.M.
Comics historian Craig Yoe will present a multimedia presentation on the history of "The What Me Worry Kid" at the Yorktown Museum 1974 Commerce St. Yorktown Heights, NY on TUESDAY, OCTOBER 25 at 7:00 pm. 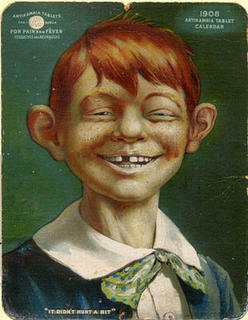 This talk will take a fun look at the history of America's favorite grinning idiot without a care. Yoe recently authored the book MODERN ARF, where the origin of Mad's mascot was one of those revelations covered in graphic detail. Katonah Village Library Annual Fall Book Sale Begins October 22, 2005. Here is the link for details. students at John Jay High School that are taking a video art course and works produced to date. Video Art is a class that is offered in the Art Department, where students are introduced to video as an art form and means of personal expression - possible future Steven Spielberg's in the making.